Example of Differential calculus: Tangent line at (x, f(x)). 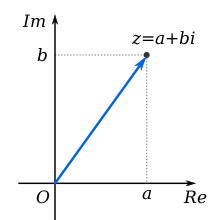 The derivative f′(x) of a curve at a point is the slope (rise over run) of the line tangent to that curve at that point. Calculus is the mathematical study of change, in the same way that geometry is the study of shape and algebra is the study of operations and their application to solving equations. It has two major branches, differential calculus (concerning rates of change and slopes of curves), and integral calculus (concerning accumulation of quantities and the areas under and between curves). The whole apparatus of the calculus takes on an entirely different form when developed for the complex numbers. - Keith Devlin. God does not care about our mathematical difficulties - he integrates empirically. - Albert Einstein. I don't have a word for how it smelled. Like calculus, perhaps? In February 1994, [Mary] Tai authored a paper in the journal Diabetes Care entitled "A Mathematical Model for the Determination of Total Area Under Glucose Tolerance and Other Metabolic Curves." …What Tai "discovered," even being so bold as to term it Tai's Model, is integral calculus. ...the trapezoidal rule for calculating the area below a curve, which seems to have been known to Newton. And yet Tai's article passed through the editors and has received well over one hundred citations in the scientific literature. A number of letters written in response to Tai in a later issue... pointed out that this technique is well-known and available in many introductory textbooks. ...in many situations knowledge can spread far slower than we might realize. Foreshadowings of the principles and even of the language of [the infinitesimal] calculus can be found in the writings of Napier, Kepler, Cavalieri, Fermat, Wallis, and Barrow. It was Newton's good luck to come at a time when everything was ripe for the discovery, and his ability enabled him to construct almost at once a complete calculus. It is here, at this very moment when the first utterly trivial differential equation is solved, that the secret form of words is revealed that makes modern science possible. But just as much as it is easy to find the differential [derivative] of a given quantity, so it is difficult to find the integral of a given differential. Moreover, sometimes we cannot say with certainty whether the integral of a given quantity can be found or not. J.M. Child... has made a searching study of Barrow and has arrived at startling conclusions on the historical question relating to the first invention of the calculus. He places his conclusions in italics in the first sentence as follows Isaac Barrow was the first inventor of the Infinitesimal Calculus... Before entering upon an examination of the evidence brought forth by Child it may be of interest to review a similar claim set up for another man as inventor of the calculus... Fermat was declared to be the first inventor of the calculus by Lagrange, Laplace, and apparently also by P. [Paul] Tannery, than whom no more distinguished mathematical triumvirate can easily be found. ...Dinostratus and Barrow were clever men, but it seems to us that they did not create what by common agreement of mathematicians has been designated by the term differential and integral calculus. Two processes yielding equivalent results are not necessarily the same. It appears to us that what can be said of Barrow is that he worked out a set of geometric theorems suggesting to us constructions by which we can find lines, areas and volumes whose magnitudes are ordinarily found by the analytical processes of the calculus. But to say that Barrow invented a differential and integral calculus is to do violence to the habit of mathematical thought and expression of over two centuries. The invention rightly belongs to Newton and Leibniz. Florian Cajori, in "Who was the First Inventor of Calculus" in The American Mathematical Monthly (1919) Vol.26. 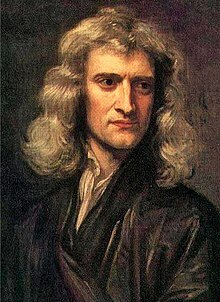 [Human and physical events are] equally susceptible of being calculated, and all that is necessary, to reduce the whole of nature to laws similar to those which Newton discovered with the aid of the calculus, is to have a sufficient number of observations and a mathematics that is complex enough. The whole apparatus of the calculus takes on an entirely different form when developed for the complex numbers. How tough are both your branches. To pass what are my chances? At integrals my fingers shake. … ~ Denis Gannon. At integrals my fingers shake. Your theorems I can't master. My Proofs are a disaster. Or find a reason, God knows where. My limit I am reaching. They're just an epsilon from D.
The calculus is to mathematics no more than what experiment is to physics, and all the truths produced solely by the calculus can be treated as truths of experiment. The sciences must proceed to first causes, above all mathematics where one cannot assume, as in physics, principles that are unknown to us. For there is in mathematics, so to speak, only what we have placed there... If, however, mathematics always has some essential obscurity that one cannot dissipate, it will lie, uniquely, I think, in the direction of the infinite; it is in that direction that mathematics touches on physics, on the innermost nature of bodies about which we know little. In general the position as regards all such new calculi is this — That one cannot accomplish by them anything that could not be accomplished without them. 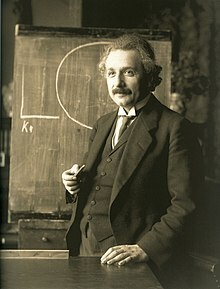 However, the advantage is, that, provided such a calculus corresponds to the inmost nature of frequent needs, anyone who masters it thoroughly is able — without the unconscious inspiration of genius which no one can command — to solve the respective problems, yea to solve them mechanically in complicated cases in which, without such aid, even genius becomes powerless. Such is the case with the invention of general algebra, with the differential calculus, and in a more limited region with Lagrange's calculus of variations, with my calculus of congruences, and with Mobius's calculus. Such conceptions unite, as it were, into an organic whole countless problems which otherwise would remain isolated and require for their separate solution more or less application of inventive genius. I have no fault to find with those who teach geometry. That science is the only one which has not produced sects; it is founded on analysis and on synthesis and on the calculus; it does not occupy itself with the probable truth; moreover it has the same method in every country. It was certainly Isaac Newton who first devised a new infinitesimal calculus and elaborated it into a widely extensible algorithm, whose potentialities he fully understood; of equal certainty, the differential and integral calculus, the fount of great developments flowing continuously from 1684 to the present day, was created independently by Gottfried Wilhelm Leibniz. Whatever we feel of the relations between these two men, we cannot but admire their analogous creative achievements with as much impartiality as our emotions will admit. I recoil with dismay and horror at this lamentable plague of functions which do not have derivatives. That Leibniz here (in the field of calculus) wholly uninfluenced by others, gained his crucial insights unaided, is beyond all doubt. The calculus of utility aims at supplying the ordinary wants of man at the least cost of labour. In this work I have attempted to treat economy as a calculus of pleasure and pain, and have sketched out, almost irrespective of previous opinions, the form which the science, as it seems to me, must ultimately take. In the history of mathematics and science, few conflicts have attained the notoriety of the Newton/Leibniz dispute. … A carefully reconstructed chronology reveals that Newton had formulated the essentials of his calculus by 1666, years before Leibniz had attained the mathematical knowledge necessary to develop his own point of view on the calculus. … There is much that can never be known about such a feud. This feud is peculiar in that it erupted late, and was both sparked and carried on to a large degree by the followers of the men involved. There are scientific reasons for it (the divergences in their interpretation of "the calculus" itself; personal reasons (a history of suspicion, not only between the two principles but between each of them and other rivals; nationalism, never a negligible factor; and the bitterness associated with disputes on related matters, notably the ongoing rivalry between the Newtonian and Cartesian theories of gravity. At a personal level, Newton's pride, suspicious character, and reluctance to publish collided with Leibniz' naive optimism, arrogance, and his belief in "systems" as more valuable than inspiration, in a long-delayed but virulent explosion. The theory of probabilities is basically only common sense reduced to a calculus. It makes one estimate accurately what right-minded people feel by a sort of instinct, often without being able to give a reason for it. Among all of the mathematical disciplines the theory of differential equations is the most important … It furnishes the explanation of all those elementary manifestations of nature which involve time. Who has not been amazed to learn that the function y = ex, like a phoenix rising from its own ashes, is its own derivative? In England, where it originated, the calculus fared less well. ...by siding completely with Newton in the priority dispute, they cut themselves off from developments on the Continent. They stubbornly stuck to Newton's dot notation of fluxions, failing to see the advantages of Leibniz's differential notation. As a result, over the next hundred years, while mathematics fluorished in Europe as never before, England did not produce a single first-rate mathematician. When the period of stagnation finally ended around 1830, it was not in analysis but in algebra that the new generation of English mathematicians made their greatest mark. Accordingly, we find Euler and Alembert devoting their talent and their patience to the establishment of the laws of rotation of the solid bodies. Lagrange has incorporated his own analysis of the problem with his general treatment of mechanics, and since his time M. Poinsôt has brought the subject under the power of a more searching analysis than that of the calculus, in which ideas take the place of symbols, and intelligent propositions supersede equations. The calculus was the first achievement of modern mathematics and it is difficult to overestimate its importance. I think it defines more unequivocally than anything else the inception of modern mathematics, and the system of mathematical analysis, which is its logical development, still constitutes the greatest technical advance in exact thinking." In the beginning of the year 1665 I found the Method of approximating series & the Rule for reducing any dignity of any Bionomial into such a series. The same year in May I found the method of Tangents of Gregory & Slusius, & in November had the direct method of fluxions & the next year in January had the Theory of Colours & in May following I had entrance into ye inverse method of fluxions...Sir Isaac Newton. In the beginning of the year 1665 I found the Method of approximating series & the Rule for reducing any dignity of any Bionomial into such a series. The same year in May I found the method of Tangents of Gregory & Slusius, & in November had the direct method of fluxions & the next year in January had the Theory of Colours & in May following I had entrance into ye inverse method of fluxions. And the same year I began to think of gravity extending to ye orb of the Moon & (having found out how to estimate the force with wch [a] globe revolving within a sphere presses the surface of the sphere) from Keplers rule of the periodic times of the Planets being in sesquialterate proportion of their distances from the center of their Orbs, I deduced that the forces wch keep the Planets in their Orbs must [be] reciprocally as the squares of their distances from the centers about wch they revolve: & thereby compared the force requisite to keep the Moon in her Orb with the force of gravity at the surface of the earth, & found them answer pretty nearly. It is supposed that the results cannot be truly accurate, because certain quantities are neglected; thus, a finite number of infinitesimals is neglected if it is added to or subtracted from a finite quantity; and similarly a finite quantity must be and is neglected when it is added to or subtracted from an infinity. And it is supposed that an error is hereby introduced, which vitiates and destroys the accuracy of the whole work, and that the results are at last true only because a compensation is made. Now let the nature of our Calculus be clearly understood; it is of itself a part of the science of number; its subject matter is continuous number; and according as its results and theorems in number are exact or not, so is its exactness to be tested. It is capable of application to other sciences; those of Geometry, Motion, &c.; but its truth is not to be tried by the results of these subjects, because their matter may not be so conformable to that of our Calculus, but that discrepancy may be between them. 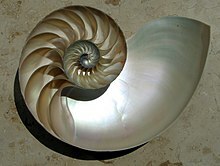 In Infinitesimal Calculus may properly so called, our symbols are symbols of number only: we make our own materials; our infinitesimals and infinities are created by us; and are subject to certain conditions which we choose to impose on them; we make them subject to certain laws; and so long as they are employed consistently with these conditions and these laws, and in accordance with the rules of correct inference, the conclusions which they lead to are strictly correct. There is no error: the neglecting of infinitesimals is a necessary stop in our process, and therefore it is that I have used the language of necessity: I have said in Theorem VI that a finite sum of infinitesimals must be neglected, not may be neglected, when it is added to or subtracted from a finite quantity: were this not done, infinitesimals would not be what they are, and our rules for the discovery of them would be other than they are. When however we apply to other subject matter, say of space or of motion, the conception of infinitesimals, it may be that this particular subject-matter does not admit of the continuous infinitesimal change with that exactness which the conception of numerical infinitesimal growth is capable of; it may be that there is a discrepancy, and consequently an error; for which afterwards compensation has to be made. Thus, for instance, we may in our conception of the infinitesimal Calculus as applied to Geometry assume the line joining two consecutive points in a circle to be straight, and represent it by a symbol which denotes a straight line; whereas from the geometrical definition of a circle we know that the curvature of a circle is continuous, and that the line joining two points of it, however near together they are, cannot be straight; and thus our symbols, though representatives of such straight lines, only approximately represent them. In this case doubtless there may be an error; an error not in the work of the calculus; that is true and exact; but because the geometrical quantities are not adequately expressed by the symbols; but when by means of integration we pass from the infinitesimal element to the finite function, then the finite function becomes the exact and adequate representative of the geometrical quantity, and a compensation has taken place in the act of passing from the infinitesimal element to the finite function. On investigation it will, I venture to think, be found that the exactness of the Calculus has been impugned on these and similar grounds; and therefore that it has been unfairly impugned: let it be tried on its own principles; on them I venture to say it will stand the attack. It creates its own materials, and is subject to its own laws; let it not be condemned because other materials, which you try to bring within its grasp, refuse to submit to these laws. Bartholomew Price, A Treatise on Infinitesimal Calculus (1857) Preface, pp. ix-xi, 2nd ed. Geometric calculus consists in a system of operations analogous to those of algebraic calculus, but in which the entities on which the calculations are carried out, instead of being numbers, are geometric entities which we shall define. Giuseppe Peano Geometric Calculus (1895) as translated by Lloyd C. Kannenberg (2000) "The Operations of Deductive Logic" Ch. 1 "Geometric Formations"
As is known, scientific physics dates its existence from the discovery of the differential calculus. Only when it was learned how to follow continuously the course of natural events, attempts, to construct by means of abstract conceptions the connection between phenomena, met with success. To do this two things are necessary: First, simple fundamental concepts with which to construct; second, some method by which to deduce, from the simple fundamental laws of the construction which relate to instants of time and points in space, laws for finite intervals and distances, which alone are accessible to observation (can be compared with experience). Deflection of a simply supported beam under uniformly distributed load. While still in high school and having just learned the geometric significance of the first and second derivatives of a function, I asked my father what significance there might be to derivatives of higher order than two. Naturally, he mentioned that the fourth derivative of the deflection curve of a beam would be proportional to the intensity of the load distribution responsible for this deflection. I learned a good deal more about this subject during my first year at the university as a student in my father's mechanics course. Eric Reissner, Selected Works in Applied Mechanics and Mathematics (1996) p. 1, "Beams". One of the most important theorems in calculus is the Mean Value Theorem (MVT)...[which] is said to be the midwife of calculus... often helping to deliver other theorems that are of major significance. The proof... is based on a special case of it known as Rolle’s theorem [named after Michel Rolle]. One of the most important theorems in calculus is the Mean Value Theorem (MVT), which is used to prove many theorems of both differential and integral calculus, as well as other subjects such as numerical analysis. MVT is said to be the midwife of calculus - not very important or glamorous by itself, but often helping to deliver other theorems that are of major significance. The proof of the Mean-Value Theorem is based on a special case of it known as Rolle’s Theorem. The Calculus required continuity, and continuity was supposed to require the infinitely little; but nobody could discover what the infinitely little might be. Bertrand Russell, The Principles of Mathematics (1903) Vol. 1, pp. 325-326. Looking at numbers as groups of rocks may seem unusual, but actually it's as old as math itself. The word "calculate" reflects that legacy -- it comes from the Latin word calculus, meaning a pebble used for counting. To enjoy working with numbers you don't have to be Einstein (German for "one stone"), but it might help to have rocks in your head. Yet in another way, calculus is fundamentally naive, almost childish in its optimism. Experience teaches us that change can be sudden, discontinuous, and wrenching. Calculus draws its power by refusing to see that. It insists on a world without accidents, where one thing leads logically to another. Give me the initial conditions and the law of motion, and with calculus I can predict the future -- or better yet, reconstruct the past. I wish I could do that now. Calculus is the study of limits. In simple terms, a limit allows us to look at what happens to the dependent variable as the independent variable gets close to something. The ideal of mathematics should be to erect a calculus to facilitate reasoning in connection with every province of thought, or of external experience, in which the succession of thoughts, or of events can be definitely ascertained and precisely stated. So that all serious thought which is not philosophy, or inductive reasoning, or imaginative literature, shall be mathematics developed by means of a calculus. Essence of Calculus from 3Blue1Brown. This page was last edited on 19 August 2018, at 04:43.